Ever the optimist, I’m convinced that I can still say Indian Summer even though it’s now the 1st October. Please don’t burst my bubble. 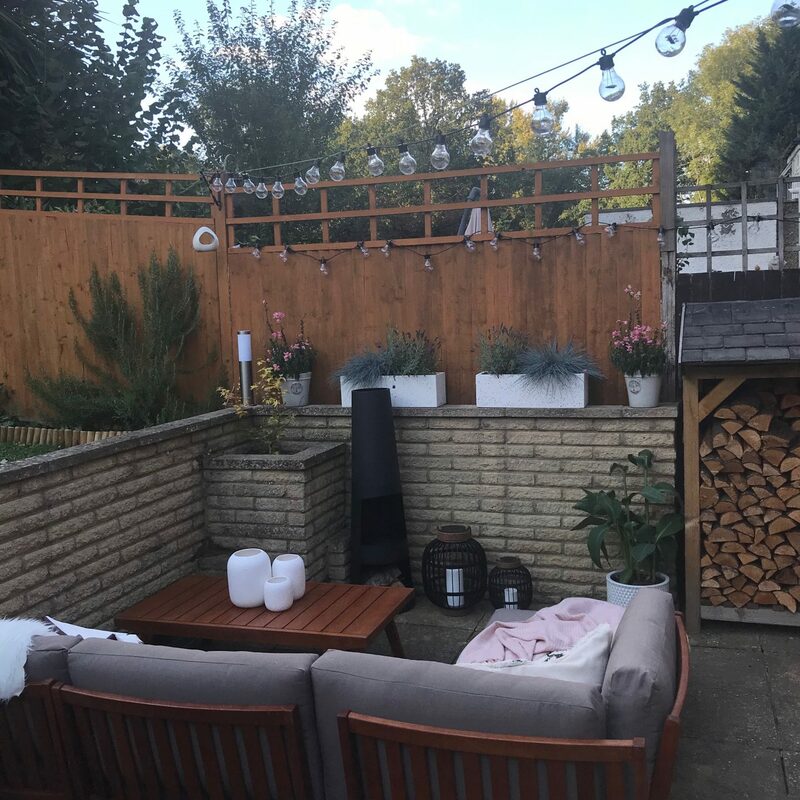 I’m a little in denial and unwilling to admit that I’ve missed the boat on the most beautiful summer EVER and really should have done my patio makeover back in March and not at the end of September but hey, better later than never right? So what have we actually done? Here’s a little reminder of what it used to look like way back when. 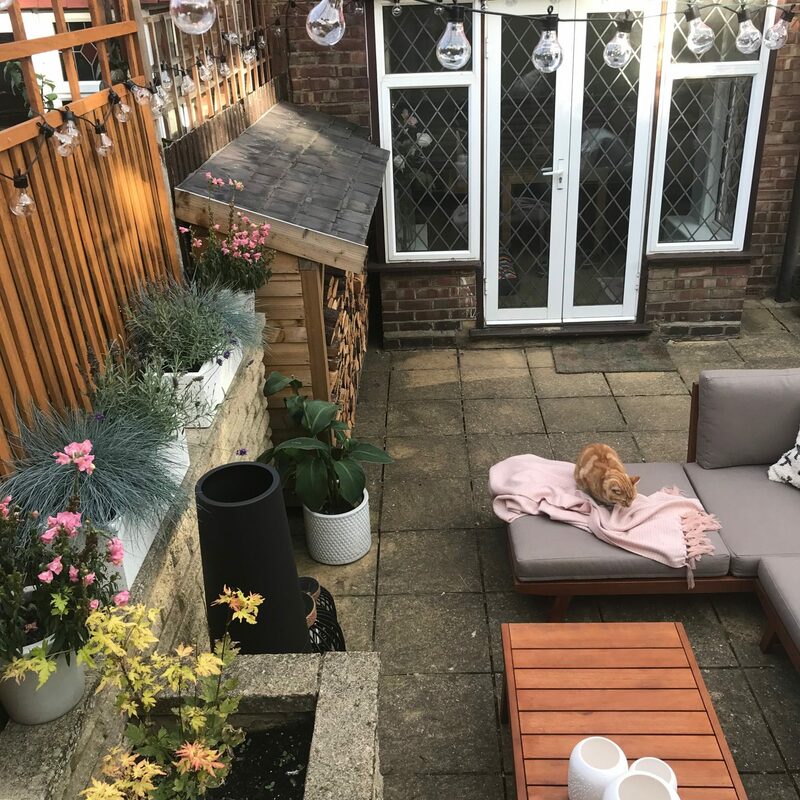 Our patio area has seen a fair few incarnations since we moved in. It’s a big old space which we’re very lucky to have but we’ve more or less been making do whilst we worked on other projects around the house. 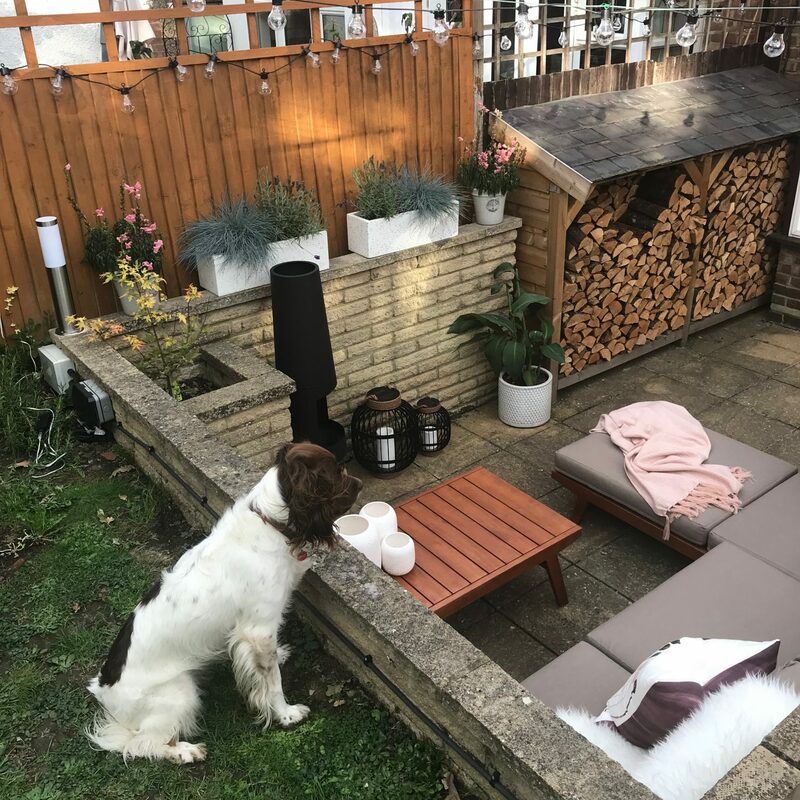 This year though I’ve been so inspired by seeing other people’s outdoor projects and decided to get in on the action in a slightly less chic version of the gorgeous Sam at Malmo and Moss, and Olivia at Lust Living (both of their transformations are to die for!) 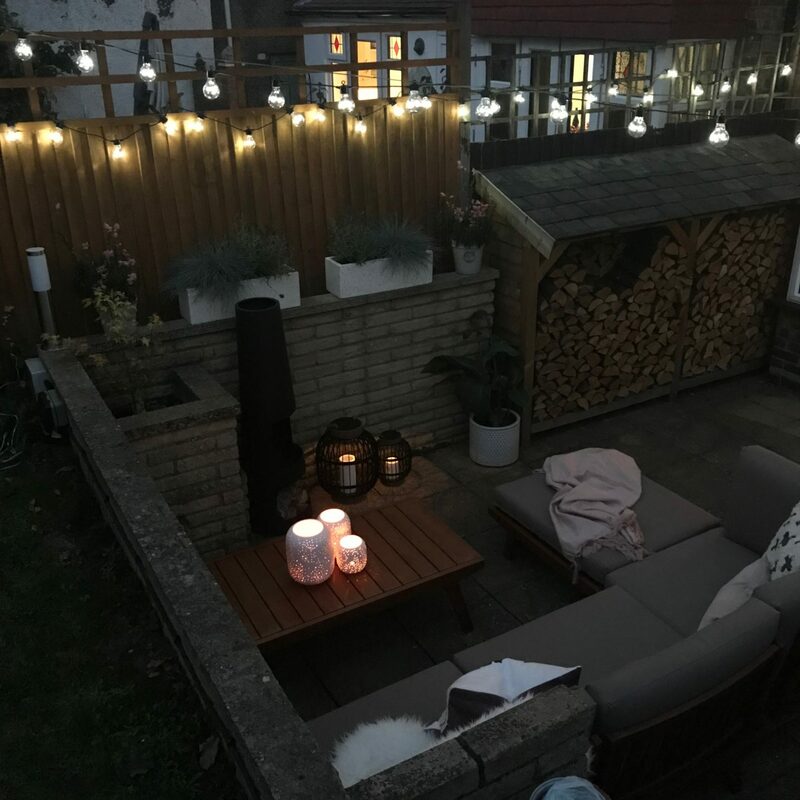 I didn’t want to go too crazy since this is a temporary space but oh I’m so happy with how it looks now and even with the chillier evenings I’ll be spending a lot more time outdoors. As someone who generally looks like the Michelin Man between the months of October and April through wearing so many extra layers, heat is EVERYTHING. 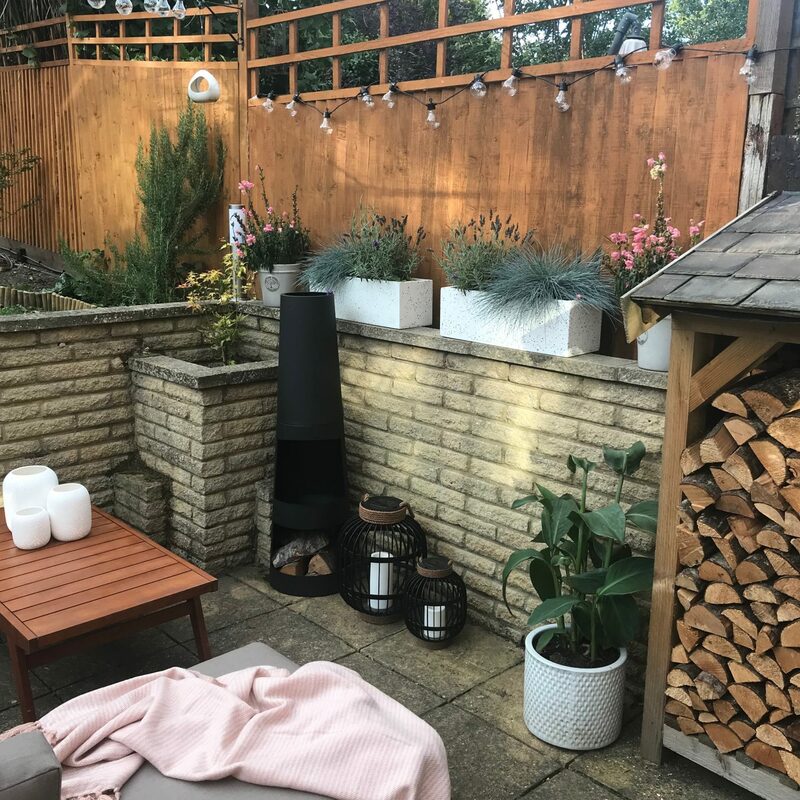 Fortunately the wonderful team at GardenSite kindly offered a chiminea which is pretty much outdoor lifestyle goals right there. 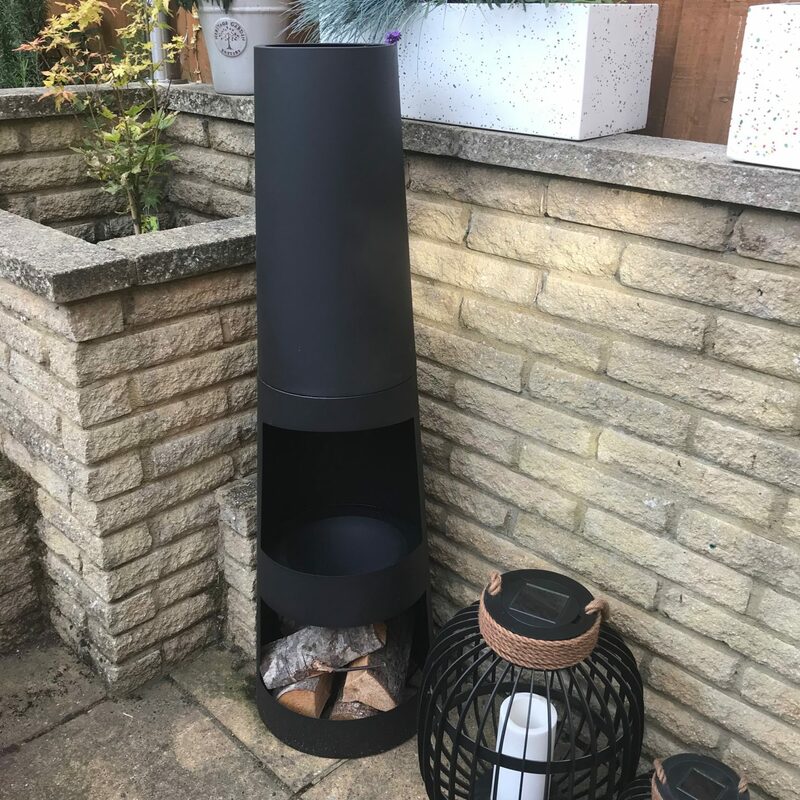 I chose the La Hacienda Circo Steel Chimenea and absolutely love it. It has a modern, matt black sleek finish, exactly the look I was after for the garden. It was incredibly easy to put together and having finally lit it over the weekend took first time. Were it not for the worry of our over-zealous bonfire patrol people coming out in force I’d have happily sat all night watching the flames and it gives off so much heat. But even when it’s not lit it still looks the part. 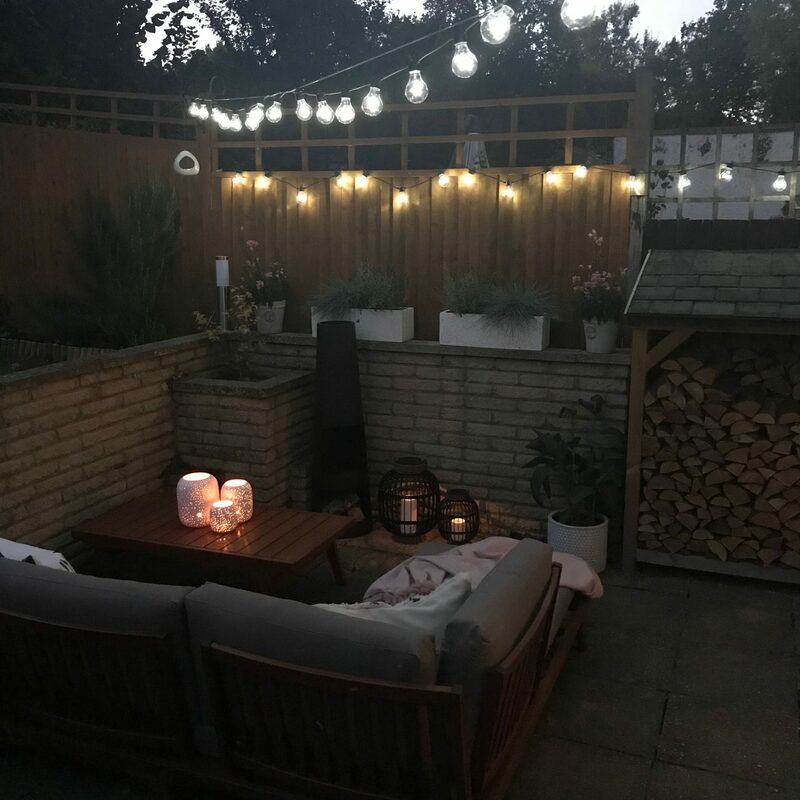 Ok, I know I’m following the trends but I have wanted festoon lighting in FOREVER. 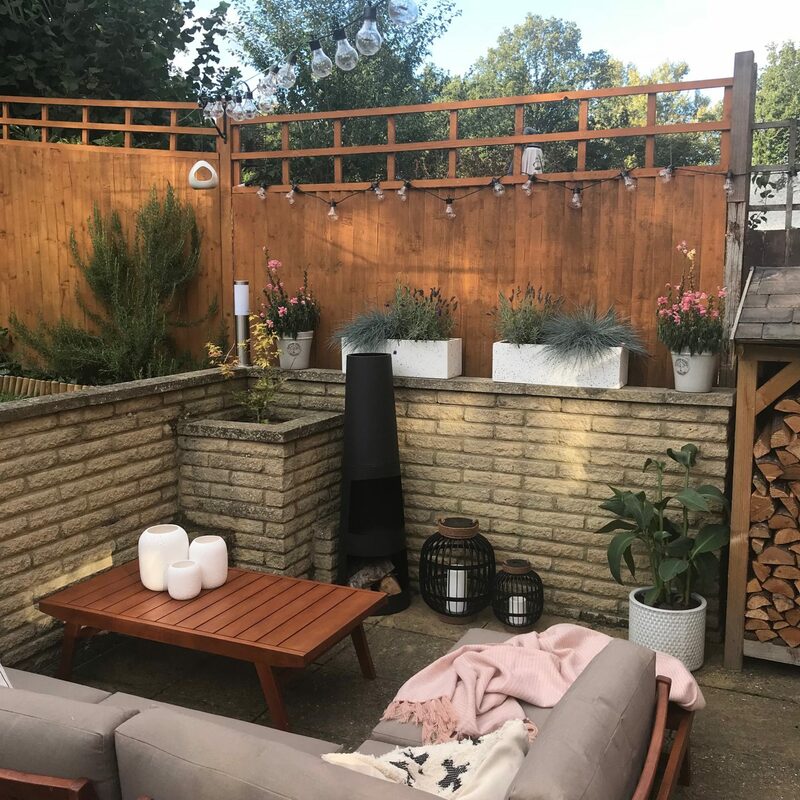 I just knew it would lend itself so well to our patio as we have some trellis down one side and then a diagonal washing line across the space. Lights4Fun are amazing to work with and I’ve strung up the 15m White Connectable Festoon Light Bundle. 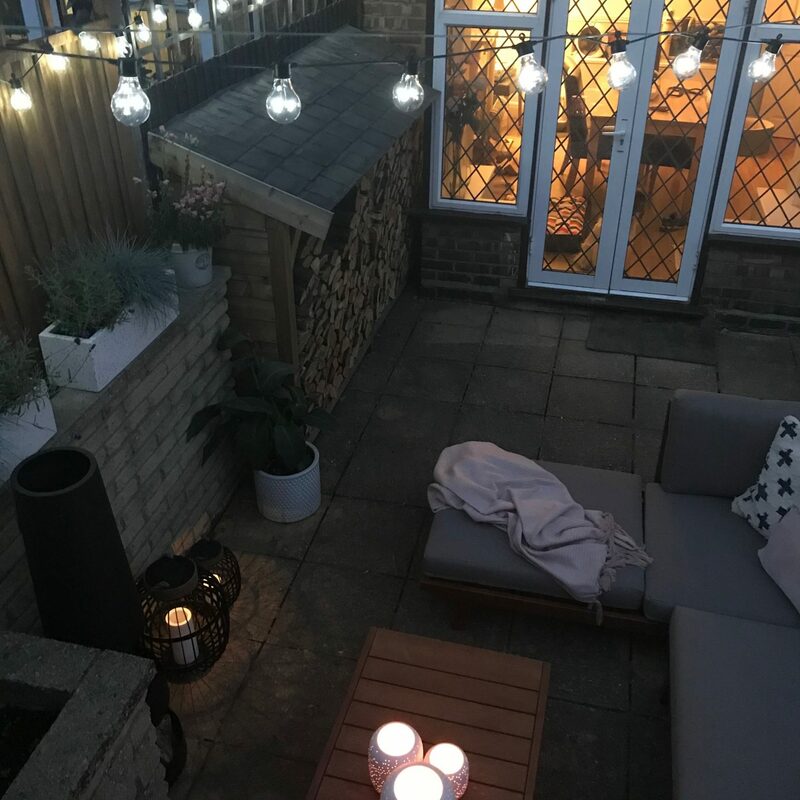 The quality of the lights is brilliant, they’ve put up with being dropped a few times and come in 3 sections that you can just connect up as required. Hanging them was slightly hairy, only because I’m a bit of a maverick DIY-er and when my neighbours heard our industrial stapler clatter to the floor they came running thinking I’d fallen off the stepladder. All’s well that ends well though and the precarious balancing is 100% worth it. The lights look stylish during the day and then come into their own at nighttime. They have numerous different settings like Christmas lights, to fade in and out, flash etc but I just leave them on when it gets dark. 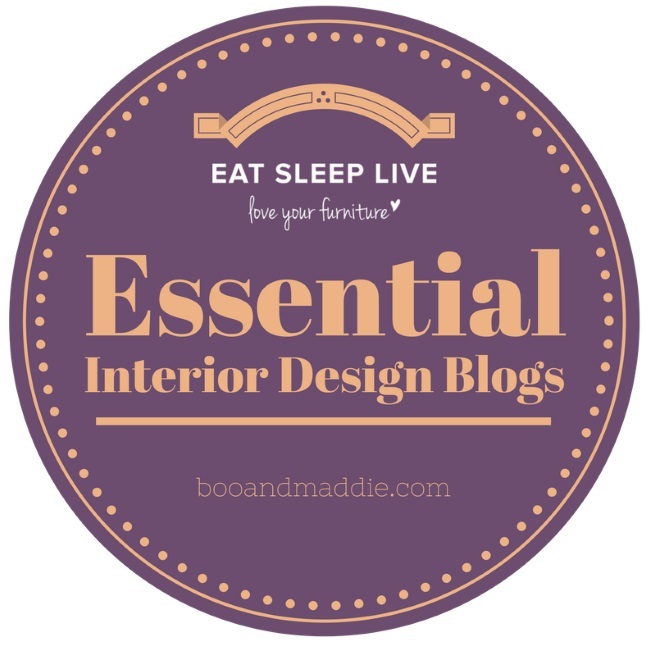 They can also be used indoors too, so super versatile. 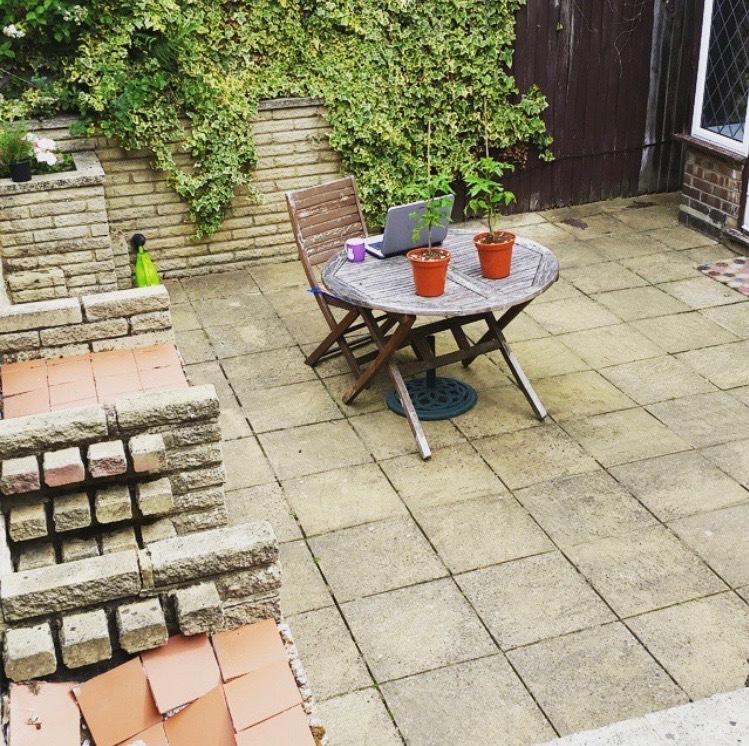 The small little table you saw in the image above didn’t last long because when we discovered our hidden shed storage out of the gate at the bottom of the garden, we also discovered a much larger rectangular wooden table had been left there. We refurbished it and have been using it ever since. Truth be told though, we don’t really eat al fresco much. Pete isn’t a fan of warm weather and I feel like it’s anti-social to eat out there by myself. 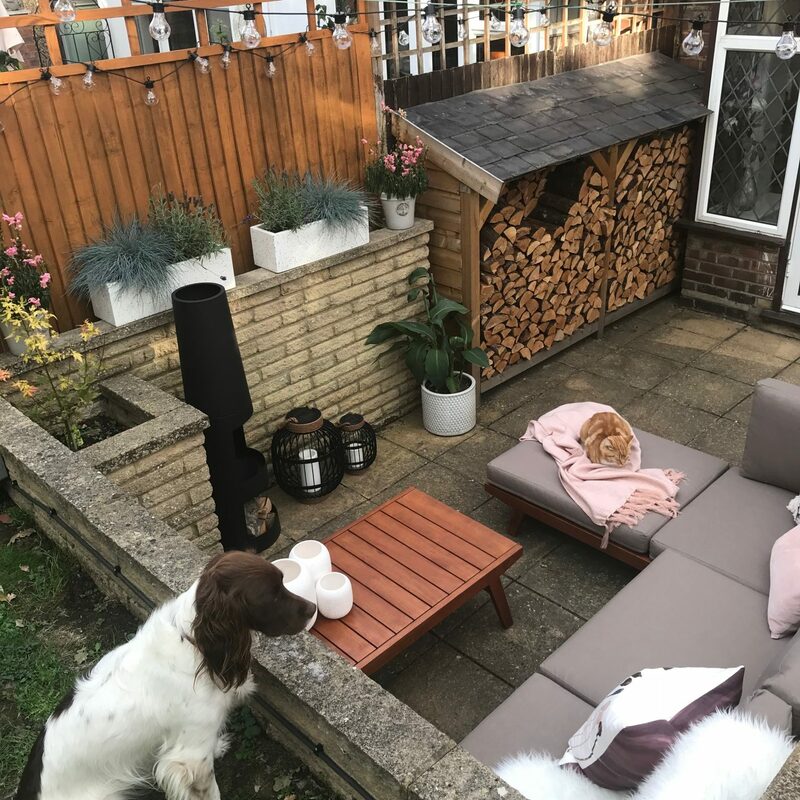 So having been inspired by Sam and Olivia I decided to invest in an outdoor sofa instead and it is the DREAM. 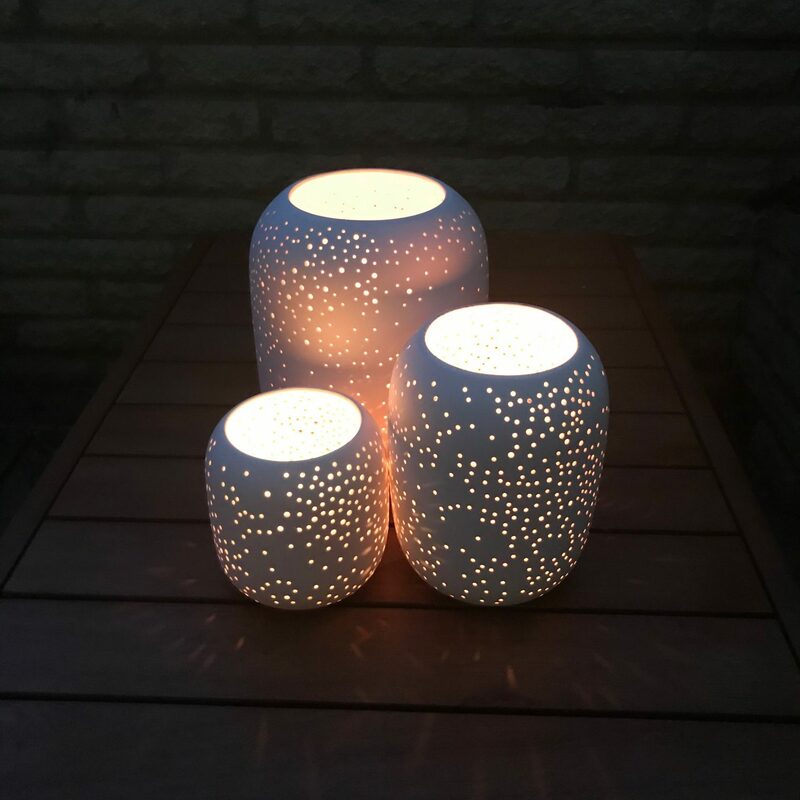 Sam had collaborated with Out and Out for hers and had a very generous 25% discount code that I took advantage of, as well as the item already being in the end of summer sale. It was delivered last Friday and being the impatient, lazy person that I am I paid for the optional assembly service and it was so worth it. They put everything together in about 20 minutes, a job that would have taken me an entire weekend, meaning I could start faffing immediately. What I also found is that when they assembled and asked me where I wanted it to be positioned, I was 100% I wanted the back against the wall. Which just didn’t work. I couldn’t get the feeling of cosiness I was after so I re-positioned it and that works perfectly. And you know what? 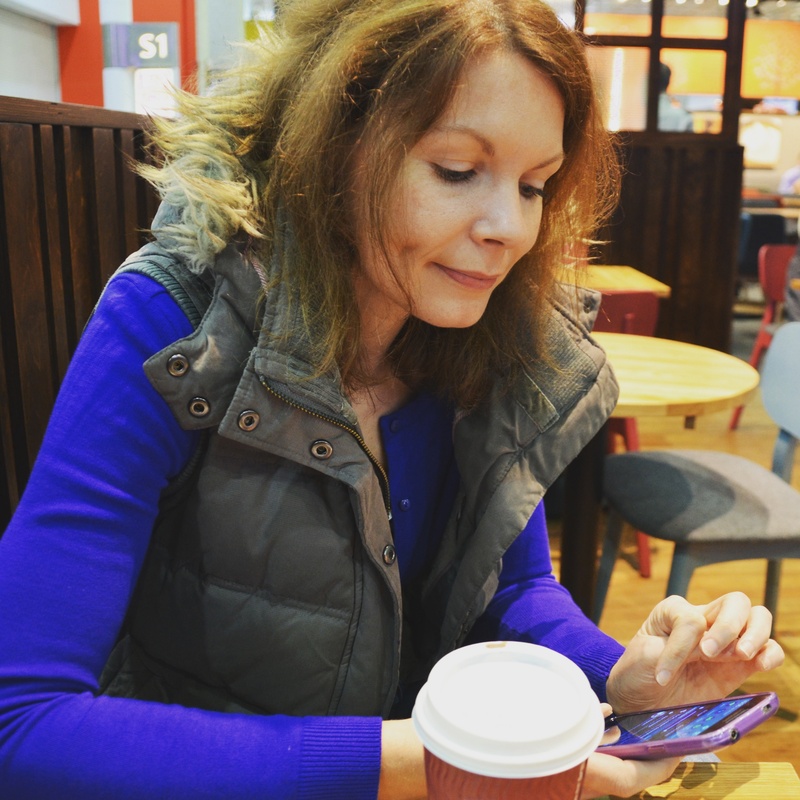 The sun has shone very kindly for me since this little transformation, long may it continue. 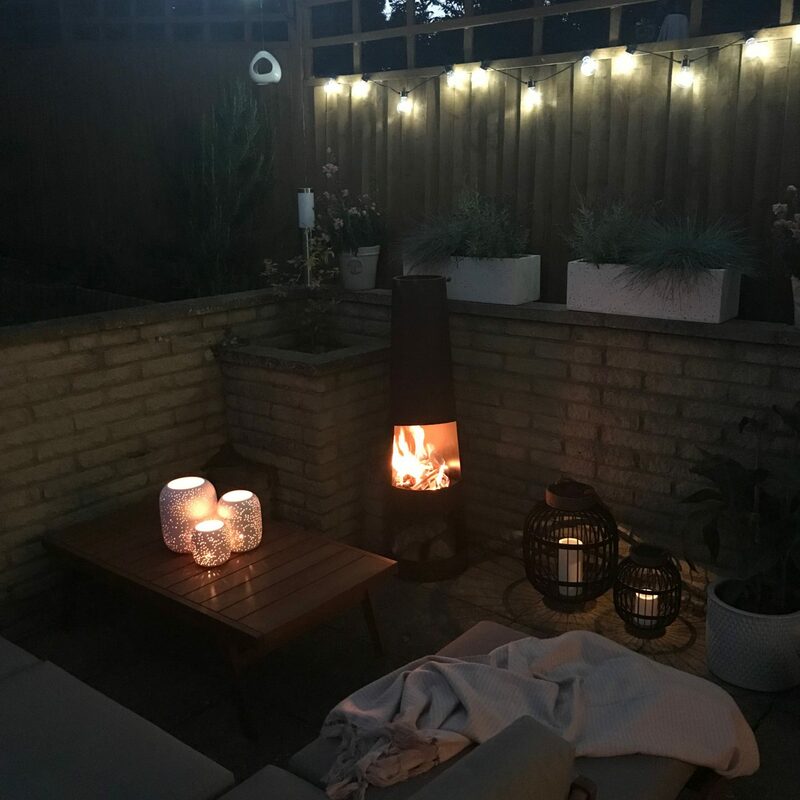 Disclaimer: I was gifted a chiminea and festoon lights as part of this patio makeover. Full links below. Looks amazing, loving all the pictures. Yep I’m pretty much already dreaming of next summer if I’m honest! And I feel you on the leaf front, we’ve got oak trees along the bottom of our garden so the only gardening I’ll be doing over the next few months is endless raking in vain. Wouldn’t swap it though, love having the trees there. What a transformation! That looks like a super cosy space and perfect for an Indian Summer. 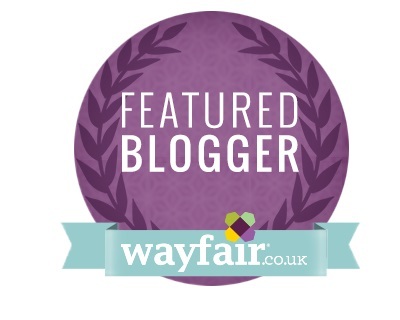 What a lovely little space you’ve created. And at least it’s done now so next Spring you can start enjoying the garden as soon as the weather permits. And you were able to take advantage of late summer sales which is always a bonus. Apparently next week is meant to be nice so enjoy it while you can! Hopefully with the gorgeous weather we are due this week you will get to enjoy your lovely patio. I have a sofa like that outside and love it. When the weather is good you can always find me on the sofa outside. These October sunny days have been amazing and you’ve got the perfect place to enjoy them. Looks like your dog loves it too! 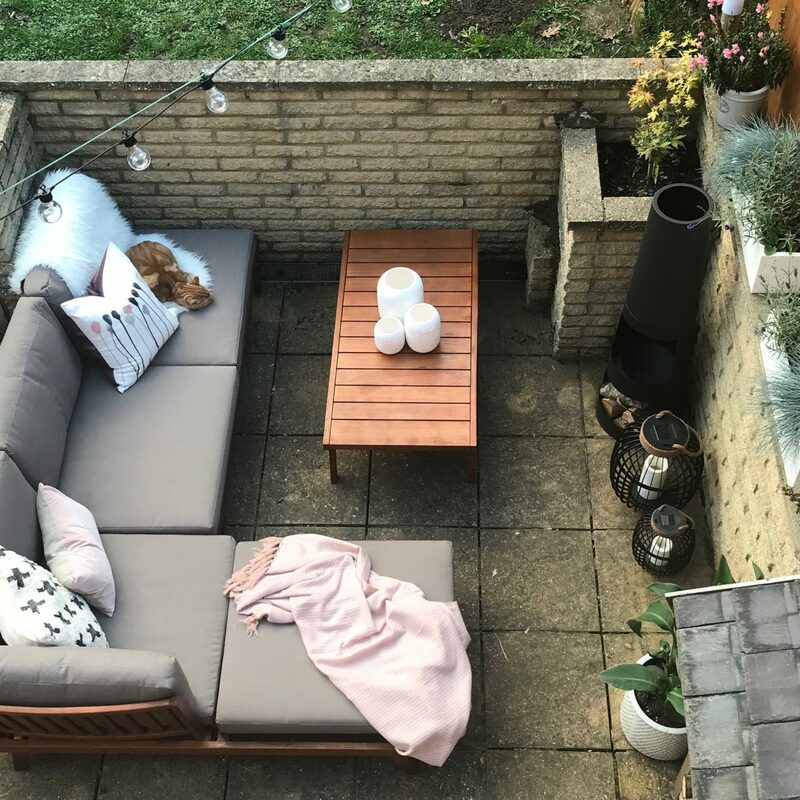 Love how you’ve updated your patio area Lins and particularly loving that sofa which is exactly what we are looking for for our outdoor space.